Jason and Gabe back with an all new, action packed episode that goes heavy into The Art of The Last Jedi book! The fascinating behind the scenes info! The look of the film! Our favorite amazing TLJ concept art! The earlier version of Master Codebreaker! The Lucas connection! Why the Caretakers really do deserve a Saturday Morning cartoon! Plus there’s the latest Solo talk, wild episode 9 speculation & more! So get out your black diamond, flying away on a space boat and celebrate the love with BLAST POINTS! 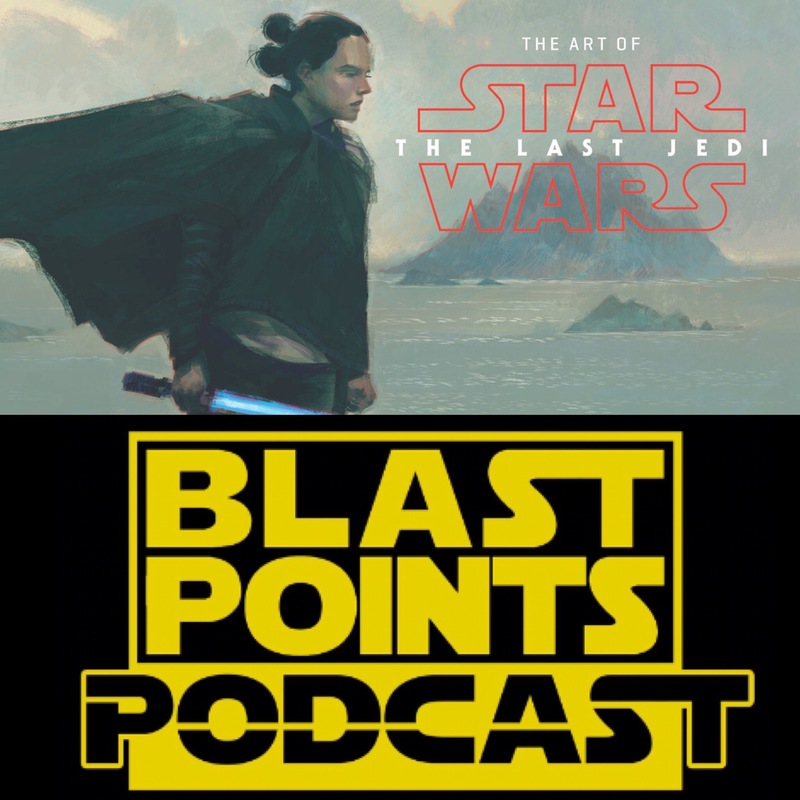 This entry was posted in Episodes and tagged episode 9, han solo, the last jedi by blastpointspodcast. Bookmark the permalink.